After various successful real estate investments, Graziosi's first dive in the real estate education happened when he created his first training course based on his personal experience titled "Think A Little Different". After years of success with this program he went on to write his first book "Totally Fulfilled" in May of 2006 published by Vanguard Press, which hit the NY Times best-seller list promptly after. It explained Dean's unique "core" approach to optimal results, success and fulfillment in all areas of life. Dean's second book "Be A Real Estate Millionaire: Secret Strategies for Lifetime Wealth Today," also published by Vanguard Press was the fastest and best selling real estate book of 2007 and 2008 and made the bestseller lists of the NY TIMES, USA Today, the Wall Street Journal and Amazon.com. In January 2009, Dean's third release, "Profit From Real Estate Right Now" a step-by-step guide to take even a novice through their first profitable investment, was an immediate hit, and within 90 days it was surpassing the monthly sales of his previous bestseller. Dean went on to write two more real estate books that both had similar high numbers of sales and delivered results for readers "Your Town Your Profits" and "30 Days To Real Estate Cash"
In 2010 Dean teamed up with Insider's Financial, a company whose owners have over 15 years of expertise in managing and running live events. Dean teamed up with them to start delivering a personal experience of a live event in cities across America. This personal touch combined with Dean's proven training and impeccable reputation lead to Dean's lives events quickly growing to be the #1 Real Estate live event training company in America by the beginning of 2011. 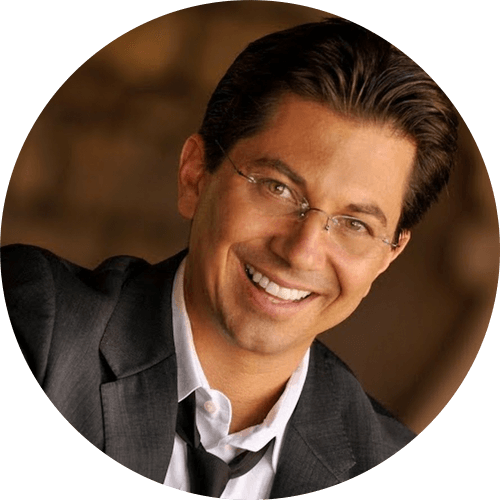 In 2002, Dean Graziosi formed Dean Enterprises, LLC as the creation and production company for his real estate information products. Dean Enterprises exclusively produces all of Dean's Infomercials, books, created and runs www.deangraziosi.com a free social community and real estate tool for anyone and is the core for all that is taught in all advanced real estate training areas. Dean has pioneered Better Education for those desiring more one on one and mentoring. Taking a industry riddled by promises of overnight success, Dean wanted to stand out by simply sharing the truth. Dean provides those who want it real estate investing education that derives from his personal investing experience and strategies he learns from his above average students. Dean owns a company called JBB Enterprises, LLC that manages his real estate holdings and flips. Dean personally does hundreds of real estate deals each year. This not only allows him to build wealth and legacy but keeps him sharp on the ever changing real estate market so he can share what he learns with his students.